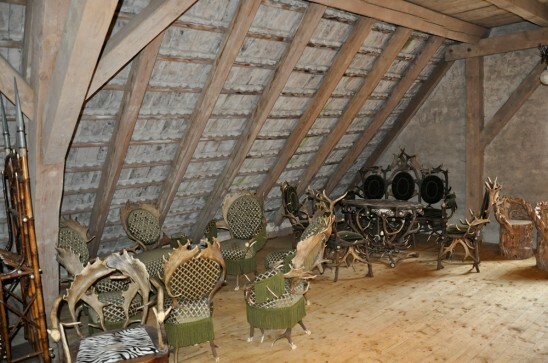 Have you ever furnished a barn with beautiful unique antique pieces.? You say that must be fun - yes it is. But it is also very tricky to find the right and the best place for each antique part. Accompany us today and perhaps you have a good idea for a change? So many beautiful parts are searching for the right place to be presented. We just name some of them...... fantastic antler chandeliers, sets of antique deer trophies, carved wood luesterweibchen, unique antler tables with chairs, squiggled mirrors and lots of different antique and vintage wall charts. And they all want to get the best place.